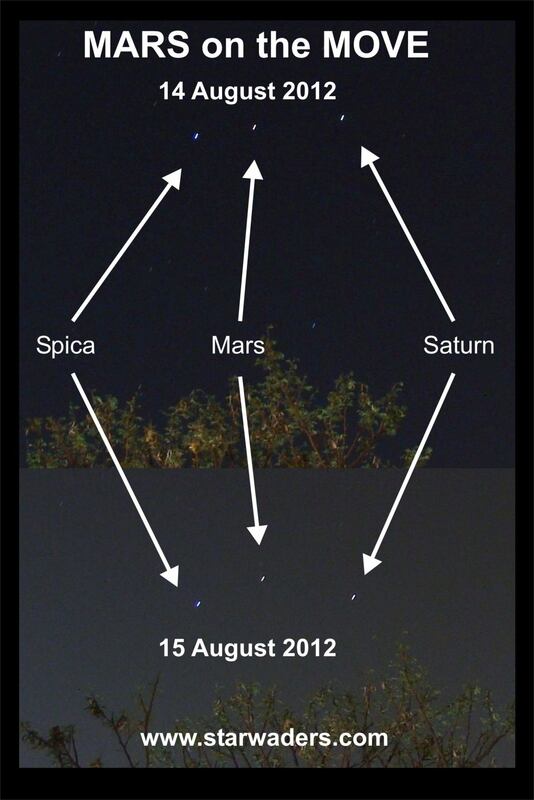 Mars moved between Spica and Saturn 14 and 15 August 2012! During August Mars moved from west of Saturn to the East of Saturn. In doing so it passed between Saturn and the star Spica. The three objects were in line on the 14th of August. Twenty-four hours later Mars had already moved well clear of that line. Just goes to show how much movement there is in the night skies when we have a ready reference point. If we Looked Up and Took Notice more often we would be very much more aware of the changes.